Size? Yes, the (screen) size of an android determines a lot when buying an android phone. The size of the android phone is dependent on what you (want to) use your phone for, if you are fond of watching or streaming videos, edit photos or videos, then an Android phone ranging from 5.5 inches to 6 inches. If you are the type that use android phone to check emails, browse, chat and use social media apps the (screen) size larger than 6 inch with be too big to be carrying around so, the perfect size that fits what you do is the (screen) size ranging from 4.5 inches to 5.5 inch. The RAM (RAM is an acronym for- Random Access Memory i.e. 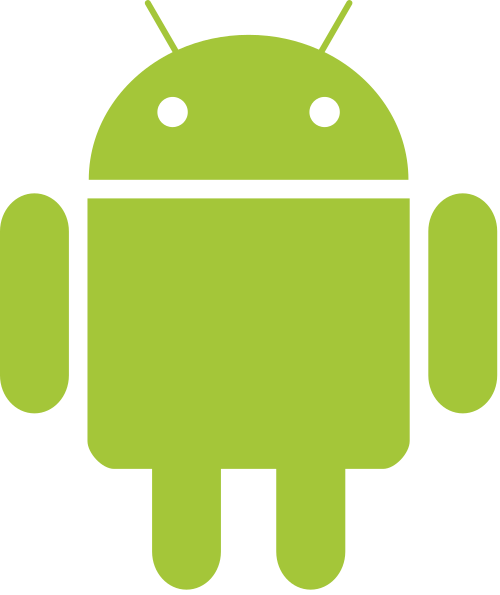 primary memory) size of an android phone comes in different sizes ranging from 1 GB ram to 4GB or more ram. The size of the ram determines how fast your phone will be and how fast it will process instructions. The RAM is responsible for all the different apps you use concurrently on your phone. Obviously, the battery capacity of an android phone is one of the keystones to be considered when buying an android phone. How frustrating would it be for your android phone to be fully charged and then 30 minutes later you are getting a warning for battery low? That is why the battery capacity of an android phone must be considered before buying it. For you to enjoy your android phone I will advise you to go for an android phone with a battery capacity of 4500mah and above which should last for at least 10 hours. You should also know that the battery capacity may reduce as time goes on when you are using the android phone, it is a normal thing for an electronic device. Oh yes, the phone camera I know you would not like it when you to take someone’s picture and the whole picture looks blurring or you tried taking selfies with your friends and your faces are not even showing as a result of the bad camera. How about you trying to record a video of an important moment but all you kept recording was just sound or voices with blurring movement, that’s not good enough right. For a good android phone, you should be looking for an android phone with at least 8MP for the back camera and at least 3MP for the front camera. That is one of the most crucial things to consider when buying an android phone. The processor speed is measured in GigaHertz or MegaHertz. The speed of the processor determines how many instructions the processor can process per second. For you to enjoy your android phone you need a processor speed starting from at least 1 Gigahertz or higher. Have you ever held your phone and feel tired of grabbing your phone or you always have a feeling that your pocket somehow weighty when dipping your phone into your pocket, you feel like you are carrying an extra load when you are holding your bag? It all comes down to the weight of your phone. Therefore when you want to buy your Android phone the weight of the phone need to be brought into consideration. Your android phone should be at most 190 grams for you to enjoy your Android phone. The coloring, brightness, contrast, toning, and other things make up the graphics of an android phone. An android phone must have a strong graphics card. Definitely, the cost of an android phone must be put into consideration. I am very sure you may regret buying an android phone without considering your pocket and it doesn't sound right to live in debt because you bought a new android phone. Therefore if you want to buy an android phone you have to consider your pocket. It’s disheartening when you try downloading a music, movie or perhaps you want your friend to send you a movie and the warning you kept on receiving is insufficient space, not cool right? For you to enjoy the android phone you want to buy you have to consider the memory. Your android phone should have internal memory 4GB and above without external memory.